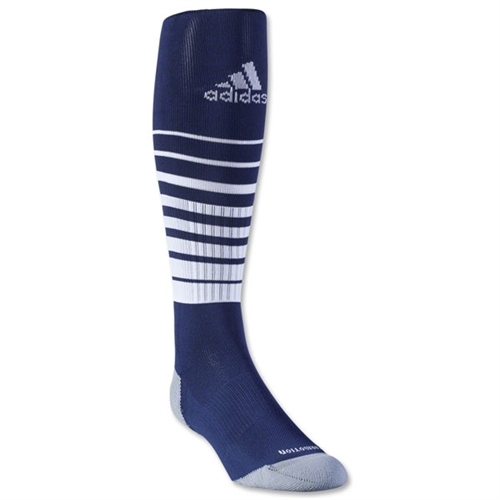 Our adidas Team Speed Soccer Sock - Navy/White our features adidas’ FORMOTION® anatomically shaped left/right footbed to enhance natural movement of the foot. climalite® construction wicks moisture while climacool® mesh construction promotes ultimate breathability. 94% Nylon, 4% Polyester, 1% Cotton, 1% Spandex. Our adidas Team Speed Soccer Sock - Navy/White are perfect for the soccer player who prefers a lightweight, snug-fitting sock.